Relebogile Mabotja has been appointed as the youngest vice chairperson of the Southern African Music Rights Organisation (SAMRO). Mabotja will chair the organisation in an acting capacity until a permanent independent chairperson is appointed. 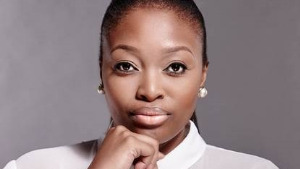 As the youngest appointed SAMRO board member, Mabotja has, over the past three years, shown her commitment and dedication to the music rights organisation and will continue to serve the organisation in her capacity as vice chairperson. "I'm honoured that the board has taken me in their confidence to fill the vice chair position. I understand the gravity of my role and don’t take the responsibility lightly," says Mabotja. "This appointment and what it means for women, black women and the youth is not lost on me. I look forward to working together with the SAMRO members to take this organisation to the next level," she adds. Mabotja takes up the position with 15 years of experience in the media and entertainment industry as a musician, composer, musical director, and founder of publishing house, Lebotja Media. Individuals can catch Mabotja on the Early Breakfast Show on 702 on weekday mornings from 04:00 to 06:00. For more information, visit www.samro.org.za. You can also follow SAMRO on Facebook, Twitter or on Instagram.